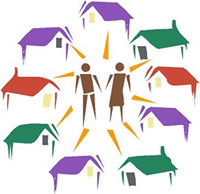 This page has been created for a course for Community Health Workers in the Houston area. If you have any suggestions to improve the page, please feel free to let us know. Affordable Care Act-- Does it affect your clientele? Most of us have questions about how we are impacted by the Affordable Care Act (ACA), sometimes referred to as "ObamaCare". You may even be asked about the ACA by your clientele. These links and documents help provide some answers as to what is in place now and what will be phased in over the next few years. Texas has 67 health centers with 388 sites that served 1,085,199 patients last year, 51.43 percent of them uninsured. With their Outreach and Enrollment funding, the health centers listed below expect to hire 193 additional workers, who will assist 369,195 people with enrollment into affordable health insurance coverage.